‘Interview with a Shoe’ featured a series of more than twenty portraits of the favourite footwear of high profile names such as Annie Lennox, Elle Macpherson, Cherie Blair, Baroness Neuberger and Alice Temperley. 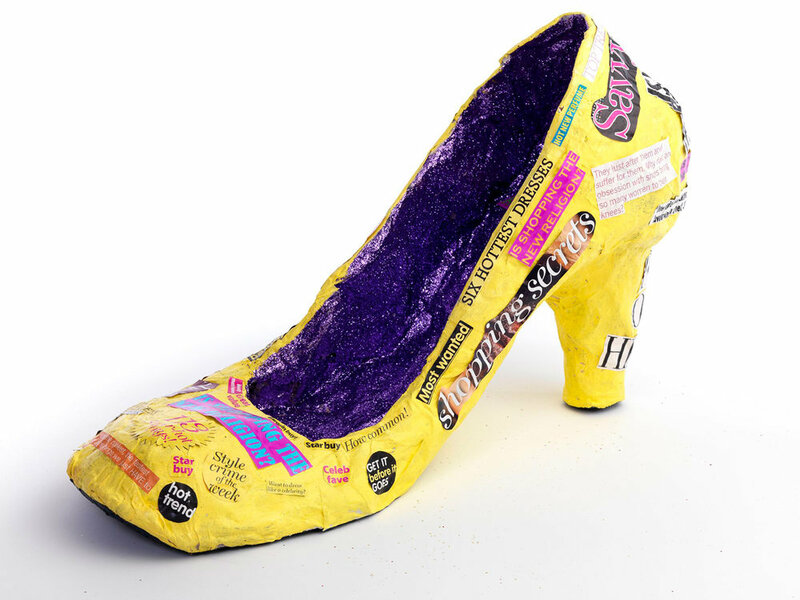 The collaboration between the artist and the owners of the shoes reveals the wearer through their choice of shoe, many of which have intriguing and moving stories. 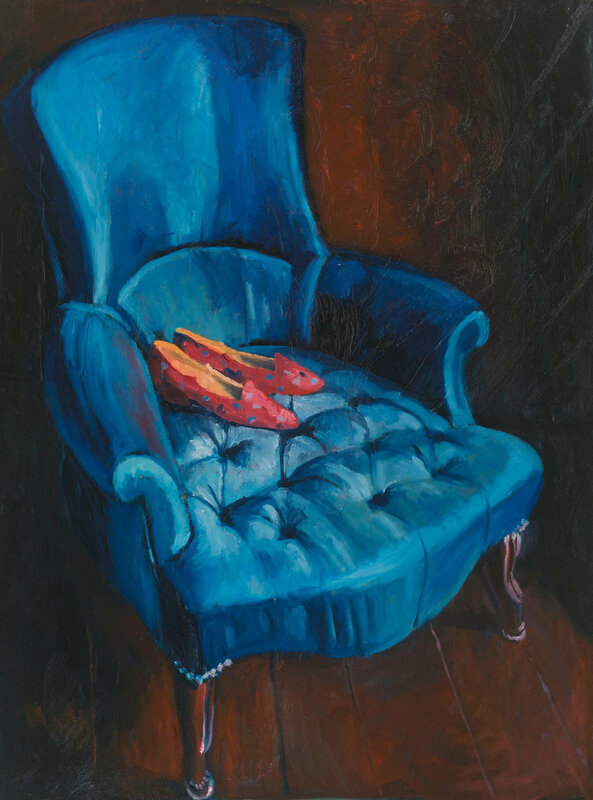 The paintings are accompanied by a series of personal stories, prompted by the memories attached to each pair of shoes. The Little Church of the West Las Vegas portrays a pair of gold platform sandals worn by Annie Lennox to the Las Vegas wedding of Bob Geldof and Paula Yates. 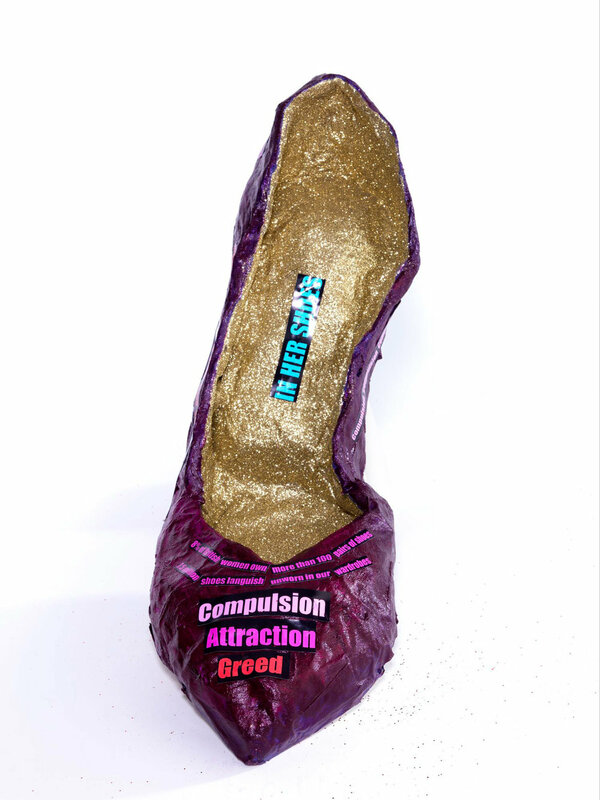 Election Trail depicts the high heeled pink stilettos of Cherie Blair, worn during the election campaign of 2005. Alongside the shoe portraits, Alice created a vast canvas of the shoes being sorted at the Oxfam Wastesaver Depot, and a selection of exquisite silk screen prints and shoe sculptures. The exhibition also helped to raise funds for the charity Dress for Success London, which helps to promote the economic independence of disadvantaged women.